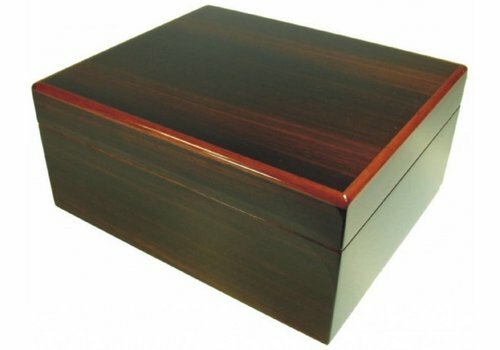 Beautiful decent cigar humidor, 26 x 22 x 12 cm. 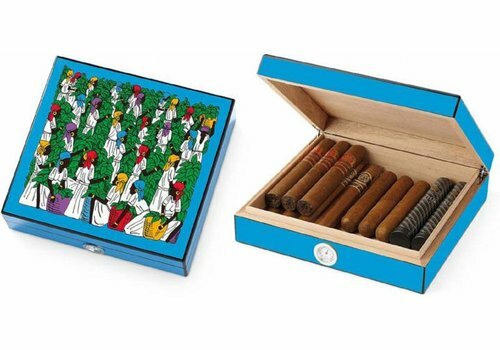 Flat and long humidor for 30 cigars. Size: 40 x 18 x 5,5 cm. 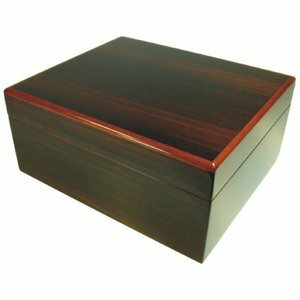 Ebony, wooden humidor case with a burned finishing.